Book Title(s): 40 books in total, including the 300k+ seller Looking Good in Print: A Guide to Basic Design for Desktop Publishing and originator of the Microsoft Office for Dummies series. How did you come to do what you’re doing today? I always have been a voracious reader, but becoming a writer and published author was very much a matter of personal and financial survival. Although I had great success in a field of consumer electronics marketing, I had come to the conclusion that I never again wanted to work for someone else. I wanted to set my own standards and be in control of my time. Writing was my ticket to success. Writing for an electronics retailing trade publication was my initial client magnet. It provided the discipline and structure I needed—but, I wanted something more. I had always been fascinated by design, but frustrated by graphic design books. Most design books were written by professional designers for professional designers. Their books neglected non-designers who needed design guidance as desktop publishing became popular. I wrote the first non-designers design book, Looking Good in Print: A Guide to Basic Design for Desktop Publishing. It sold over 300 thousand copies, launching a career that continues today. Can you describe a typical day in your life? I have always been a “night person,” and I frequently get my “second wind” around midnight. Unless I’m traveling or presenting, mornings are, for my wife and I, what nights are for others. Mornings are our time to enjoy life and each other’s company. Accordingly, work begins at noon, with routine social media and email, and extends until the late afternoon. Then, around 8 at night, I begin my “real” writing, which often extends past 2 a.m. Then, I do a little “pleasure” reading and reading for book reviews. What do you most enjoy about what you do? Writing is a process of discovery. Although I leave a cluttered life, I live for order and simplicity. I enjoy tackling complex topics and simplifying them for others, helping them apply the ideas, lessons, and tools pioneered by others. I’m proud to have simplified the field of graphic design for non-designers who own their own business, or who have to create attractive, easy-to-read newsletters for their firms. I’m pleased that my One-Minute Designer shared over 199 design tips in one-page chapters. I’m at my best when I’m challenged by topics I can dissect and present as a series of steps. My original Microsoft Office for Windows for Dummies books helped hundreds of thousands of readers master the dominant personal computer software they needed to keep their jobs or advance their careers. Are there any people and/or books that have inspired you along your journey? I was fortunate to have two role models whose books inspired me by their combination of relevant, real-world information and empathetic writing style. One was Richard Nelson Bolles, author of the 40-year What Color Is Your Parachute? job- hunters guides. 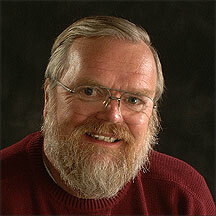 Each year, his books sell over 300,000 copies, for a total in excess of 10 million copies. When I first discovered his book, I was trapped in a high-stress, no-future, but well-paid job that was destroying my spirit. When I read his book, I felt he had written his book specifically for me. The other book was Jan V. White’s Editing by Design: For Designers, Art Directors, and Editors—The Classic Guide to Winning Readers. Jan’s book, like Richard Bolles’s book, established a 1-to-1 personal relationship with his readers. He simplified everything and allowed his love of design to permeate each page. Basically, I wanted to do for others, in my books, what Richard Bolles and Jan White did for me. They set the standard…in a way that Malcolm Gladwell and a handful of other writers continue today. What is your latest book about? My latest book is #Book_Title_Tweet: 140 Bite-Sized Ideas for Compelling Articles, Blog Post, Books, and Event Titles. It’s the first book that summarizes the best practices for choosing and testing nonfiction book titles. It offered 140 ideas, tips, and examples each described in 140 characters, or less. It’s a simple, inexpensive book you can pick up, thumb through, and find instant inspiration. Michael Larsen, a partner in Larsen-Pomoda, Northern California’s oldest literary agency, and the co-founder of the San Francisco Writer’s Conference, wrote the Foreword. Title_Tweet was the first book about nonfiction book titles. It offered 140 ideas, tips, and examples described in 140 characters, or less. It’s a simple, inexpensive book you can pick up, thumb through, and find instant inspiration. What inspired you to write your book? All of my books originate the same way: I discover a topic I want to know more about, a challenge that I want to understand or master. When I was a child, my grandmother would give me broken mechanical alarm clocks, plus a screw driver and pair of pliers. She and I would sit at her kitchen table, while I would take the alarm clocks apart. I used to love looking at the gears and springs. That’s what writing is all about for me: taking apart a challenge and figuring out what makes it tick. Once I figure it out for myself, I can share it with others. I write to discover and to share. All else is secondary. Can you describe your writing process? I’ve learned an awful lot, but—unfortunately—I learned a lot too late. My early writing years were filled with frustration and stress, because no one told me “how to write,” and what I knew about writing—from my college years—was all wrong. Like many, I was able to glide through by writing at the last minute, writing term papers and theses the night before they were due. I thought you wrote by starting at the beginning, i.e., Section 1, Chapter One, and plodded forward. It was only fairly recently—the past 10 years—that I discovered the joys of a) mind mapping and b) the freedom of non-linear writing. Mind mapping, which was a transformational tool for me, allows you to display, on a single screen or sheet of paper, a “big picture” view of your book, and the way the chapters build upon each other. Yet, without leaving the overall view of your book, you can go deep and explore the topics you’re going to cover in each of the chapters. Mind mapping allows you to write in a nonlinear fashion—because you know what topics you’re going to cover in each chapter, you can jump around from topic to topic and chapter to chapter, developing the ideas that are most important to you. Let’s face it: in retrospect, it’s often crazy to write the first chapter of a book before the others, because you don’t know what the other chapters are about, until you’ve written them! Mind mapping and time management provide a structure that allows you to explore your topic and write in short, frequent working sessions…a far less stressful approach. I’ve been writing a series of guest blog posts on the Mindjet blog about using mind mapping as a writing tool for the past 3 years, and am expanding it. The nonfiction field is a crowded one to write in. What tips can you share with our readers about positioning their book in an already-full genre or on a well-covered topic? My biggest concern about nonfiction authors is that they often write the book they want to read, rather than writing the book their market wants to read. And, what their market wants to read is, in large part, determined by what I call “the missing book,” the book that hasn’t been written! Rather than trying to write a “better” book, as many nonfiction authors try to do, they fail to identify a unique position for their book, a niche where their book can own for itself. To help nonfiction authors position their book, I wrote a blog post called How to Position Your Book to Sell More Copies in a Crowded Field. I identified some of the major positioning tactics you can use, and even included a downloadable worksheet you can use to help evaluate the right position for your book. Writing is about planning. Writing is about understanding your ideal readers—the readers you want to build lasting and profitable relationships with. It’s about positioning your book apart from competing books. And writing is about planning how you’re going to profit from your book…because income from book sales are seldom enough to live on. Writing is about time management. It’s about creating a structure, a framework of habits, that allows you to make consistent daily progress toward your goal of a published book. Going back to the college “all-nighters” analogy, many believe that “deadlines spur productivity.” Great theory, but not so great in practice. Deadlines spur unhealthy stress that blocks creativity and makes you vulnerable to the inevitable hassles that can torpedo last-minute accomplishment. Writing is about stress management. If you’re a writer who cares, you’re liable to be wrap yourself up in unrealistic expectations that can keep you from accomplishing anything. Successful authors know that you have to create a first draft—even a lousy first draft—before it can be improved. But, too many writers—myself included—tend to forget the necessity of an imperfect first draft. Identify your ideal readers, and write a book that will encourage them to hire you for paid coaching or consulting, attend a workshop, purchase a video, subscribe to your membership site, order a set of worksheets, or pre-order your next book. When Looking Good in Print was selling well, it amazed me that I was making more in one day from a 6-hour workshop than I was making from a month’s worth of royalties. Dig deeper into your ideal reader’s needs. To exaggerate only slightly, selling copies of a “currently fashionable” book to 1,000 strangers who may or may not ever buy anything from you in the future is not 1/10th as rewarding as selling a book that is purchased by 100 corporate human resource directors, 10 of whom will ask you to deliver a keynote address or a 2-day workshop at their upcoming corporate retreat. The first example reinforces your ego; the second example supports your family and builds equity for return engagements and referrals for even more workshops next year. Books are like gold-plated business cards. They take a lot of effort to create, and writing them involves opportunity costs where you have to sacrifice time you could invest in marketing your business, serving your clients, or raising your children. It’s crucial that your “gold-plated business cards” align with the needs of those you want as future clients, prospects, partners, influencers, and friends. Can you share something that people may be surprised to learn about you? You might not believe it after seeing my picture, above, but I was a well-known baby model, and “corporate spokesman” for a popular baby food company. There were hundreds of photos in my portfolio by Connie Bannister, a famous NYC baby photographer, and dozens were in circulation. Alas, my modeling career ended by the time I was four. My pictures lived on, however, ultimately appearing with funny captions on the Johnny Carson show until the ‘90s. I may have been his most popular guest! What’s next for you? I’m still driven by a need to simplify and organize. I have created dozens of worksheets and mind-map template for marketers and writers, and I’m still looking for topics requiring a combination of conciseness and structure. Part of this involves creating a new edition of my One-Minute Designer and a mind-mapping handbook. All in all, I still enjoy helping today’s new generation of writers benefit from the lessons I’ve learned so they can write their books and bring their messages to their ideal clients as efficiently as possible. Is there anything else you would like to add? Writing success is all a matter of cultivating the right habits, and practicing them every day. Discipline, habit, and structure pave the way for your creativity to emerge. 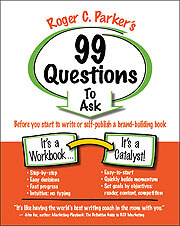 Also, I invite you to start your journey to writing and publishing success by downloading my free workbook, 99 Questions to Ask Yourself Before Writing and Self-publishing a Brand-building Book. It provides you with a framework for creating a successful writing, marketing, and business plan for your book. You’ll also receive advance notice of upcoming author interviews and new worksheets.